Michel Montecrossa and his band The Chosen few will play on 3.04.2010 the ‘Cybergreen Beakthrough’ Climate Change concert at the Omnidiet Music Hall. Konzert-News!!! Am 03.04.2010 wird Michel Montecrossa and his band The Chosen Few mit dem ‘Cybergreen Breakthrough‘ Climate Change Concert in der Omnidiet Music Hall auftreten . 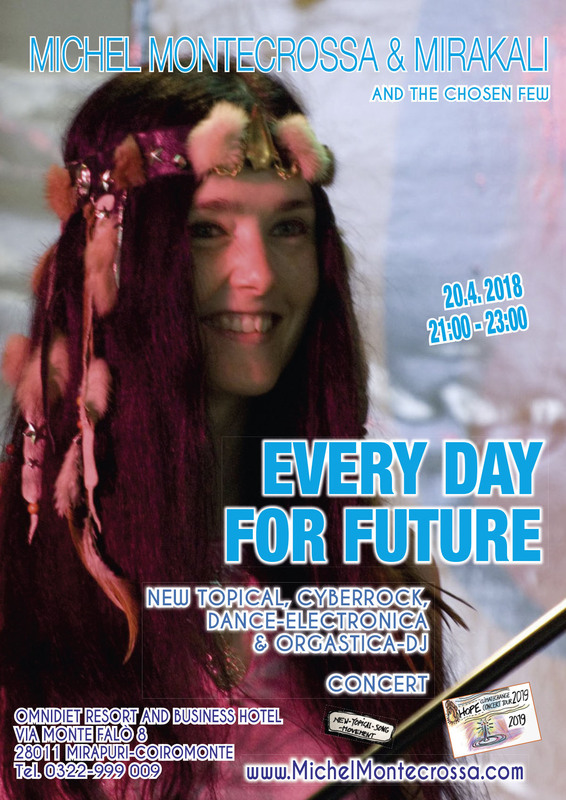 Das Konzert wird von 22:00 – 1:00 Uhr gehen.